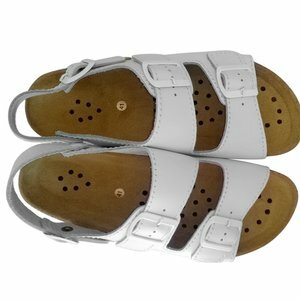 Clog/sling for men and women, size 38. Made of natural leather with rubber and cork inner sole. Static dissipative PUR sole. 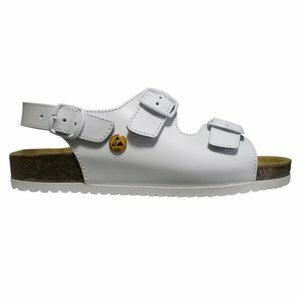 Clog/sling for men and women, size 39. Made of natural leather with rubber and cork inner sole. Static dissipative PUR sole. Clog/sling for men and women, size 40. Made of natural leather with rubber and cork inner sole. Static dissipative PUR sole. 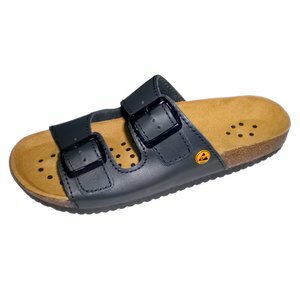 Clog/sling for men and women, size 41. Made of natural leather with rubber and cork inner sole. Static dissipative PUR sole. Clog/sling for men and women, size 42. Made of natural leather with rubber and cork inner sole. Static dissipative PUR sole.